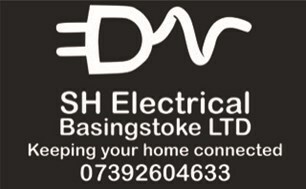 SH Electrical (Basingstoke) Ltd - Electrician based in Basingstoke, Hampshire. We are a NICEIC domestic installer which means that all of our work is tested and certified to the latest electrical regulations and signed off in accordance with Part P building regulations. Sean (company director) is a fully qualified electrician and prides himself on providing our customers with a professional and friendly service. We have delivered a wide range of electrical installations and have covered all jobs from changing a domestic light to installing a home cinema system with audio throughout the house. Customer satisfaction is of paramount importance to us and we always seek to exceed customer’s expectations by delivering all jobs on time, to the highest levels of quality, within the agreed quote and by providing guarantees against all of my work. We also provide free quotations and are happy to liaise with customers at a time that suits them. Basingstoke, Tadley, Newbury, Reading, Maidenhead, Windsor, Ascot, Virginia Water, Bracknell, Woking, Farnborough, Fleet, Camberley, , Hartley Witney, Hook, Odiham, Alton, Winchester, Andover.